Nanak Flights offers cheap flights to Victoria from Toronto, Montreal, Ottawa, Vancouver, Calgary, Edmonton, Halifax, Winnipeg, Fort Mcmurray and other Canadian cities. Air Canada and Westjet operates domestic flights to and from Victoria. Air Canada, United, Lufthansa, Delta, KLM, Air France, Cathay Pacific, Jet Airways, Emirates, British Airways operates International flights from Victoria. Few Airlines uses Air Canada and Westjet as connecting airlines to Vancouver and Calgary hubs for International flights from Victoria. Did you know? Fan Tan Alley in Victoria's Chinatown is the narrowest street in Canada. Whether your taste runs to golfing, hiking, biking and fishing, or you're more the shopping, dining and theatre type, Victoria has you covered. And bring the kids - the city was included in the Top 10 Family Vacations in Canada in TripAdvisor's 2011 Travelers' Choice awards. Travel to Victoria (YYJ) by booking your flight ticket with Nanak Flights. Victoria boasts heritage architecture, colourful gardens and traditions like afternoon tea that mix with a plethora of outdoor adventure, world-class culinary experiences and a vibrant arts and culture scene. This combined with the wild beauty of the Pacific Ocean and old-growth rainforests set against a backdrop of the Olympic Mountains makes Victoria the perfect getaway. Enjoy the popular vacation spots in Victoria by booking with Nanak Flights. Well you may have to exchange your local currency to foreign currency before you get to enjoy the trip. It will be a time consuming process to identify a Currency Conversion Agent out at your destination and hence we suggest you prefer the outlet at the YYJ airport of Victoria. ICE: International Currency Exchange deals with about 25 international currencies. To be informed about the outlet locations, you can take help from Red Coat Airport Ambassadors or from the Red Coat Information Desk which is named after their volunteers’ bright red blazers. The outlet works from 8.00 AM to 5.00 PM local time. 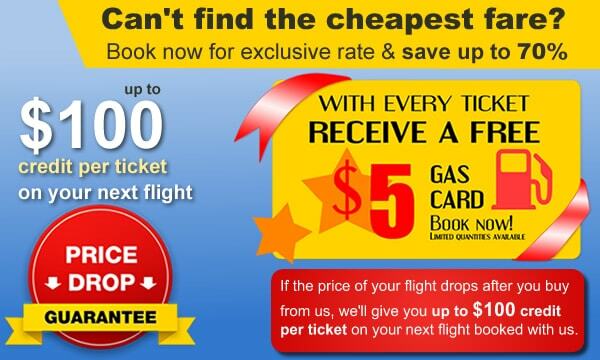 We work hard to find the lowest airfares to all your destinations. For the best deals, fill out our form for a free quotation by email and we will get back to you with unbeatable rates. To book your trip right away, use our booking search to reserve your tickets online instantly. You can also call our friendly customer contact center to book your ticket to Victoria (YYJ). Red Fish Blue Fish is the best restaurant to dine in Victoria when you wish to enjoy sustainably sourced fish and relish the magical view. This restaurant at the waterfront is located in a former cargo container and it is famous for serving traditional & contemporary fish dishes including fish & chips with a lot of options to choose from; You can get salmon, cod or halibut in a crispy batter with tartar sauce, fresh salad and Kennebec chips. If you are in mood of little experiment, you can also go for soup, fish tacone or sandwiches and extensive grilled seafood menu. II Terrazzo is an ideal restaurant to go for a romantic date or candle light dinner. This restaurant serves amazing Italian food in Victoria. The most popular dishes in this restaurant are oven fresh pizzas and roasted meats. For a comfortable eating experience, you can order a platter of home-made pasta or fresh seafood. Steamed mussels, scallops and salmon roast are good as entree while the veal tenderloin medallions make a healthy main course. Order a home-made ice cream or tiramisu to end your meal with sweet delights. Do not forget to pick up their signature cookies as a lovely takeaway. Aura Waterfront Restaurant And Patio Aura Waterfront Restaurant & Patio is located just beside the sea that serves Pacific inspired dishes. Here, you get to order from freshest seasonal menu prepared with best of organic and local ingredients. When you are here for breakfast, do not miss out ordering grilled asparagus omelette with goat cheese; for lunch, order pan seared Dungeness crab cake and for exciting dinner, order the charbroiled beef tenderloin served with garlic jus. Enjoy your early morning coffees or late evening glass of chilled wine while watching the boats passing through the sea side. Enjoy the finest selection of wines and cocktails at this restaurant for an exemplary experience. If you are looking for authentic Indian food in Victoria, Bengal Lounge is the best place to dine at. Go here to taste some exclusive curries and cocktails. The inside of Bengal lounge is inspired by Queen Victoria who was once the empress of India. Decorated in aesthetical manner, the Bengal Lounge has la carte menu choices available between Sunday and Thursday. A lot of locals head towards Bengal Lounge for their signature curry buffet. Pepped up with live music on weekends and elaborated decoration, Bengal Lounge is your destination for best Indian food in Victoria. This is another restaurant that serves Indian cuisine in Victoria. The food here is spiced in right proportions to serve the taste buds with enjoyable Indian flavors. The elaborated menu includes everything right from beginning cocktails to dinner and then deserts. Two must try preparations here are butter nan and butter chicken. Amazing services and great food surely wins your heart to come here more often with friends and family. All these stunning restaurants in Victoria with great decor and extensive menu are an ideal spot for family diners, business lunches or romantic meals. Latest Events in Victoria (YYJ), Canada - September 2015. Updated Monthly. Fall in love with the majestic scenery surrounding Victoria. Take a walk on the boardwalk and view the Pacific Northwest like never before. Visit the botannical gardens and view rare flowers and trees. If visiting Victoria, make sure to go whale watching to catch glimpses and intimate moments with wild killer whales and dolphins. It's an adventure you and your family will never forget. If you're looking for more adventure, try one of the many nearby campgrounds. With mild weather year-round, you're sure to get the most out of your fabulous trip. Nanak Flights can provide you with the cheapest fares on flights to Victoria and all destinations worldwide. Use our search engine to book online today and compare top airlines at the lowest prices from the comfort of your home or office. You can also call our customer contact center if you need any help in regard to booking your flights to Victoria. If the cost of your air tickets drops after you purchase your tickets from us, we'll give you a 100 credit to spend on the next flight you book with us. Price drop guarantee along with the low pricing to Victoria makes Nanak Flight unbeatable travel agency in terms of customer service. Our Secret to cheap tickets to Victoria is connecting with multiple suppliers and multiple GDS (Global distribution systems Sabre, Amadeus) to shop the lowest fares and offer the savings to our consumers. Travel documentation requirements for travelling to Victoria(YYJ), Canada. For more information on Victoria International Airport, please see the Victoria International Airport's website. Check out our youtube video for places to visit in Victoria. Vancouver(YVR) to Victoria(YYJ) departing Feb 11, 2017, returning Feb 19, 2017. Toronto(YYZ) to Victoria(YYJ) departing Feb 11, 2017, returning Feb 19, 2017. Ottawa(YOW) to Victoria(YYJ) departing Feb 11, 2017, returning Feb 19, 2017. Montreal(YUL) to Victoria(YYJ) departing Feb 11, 2017, returning Feb 19, 2017. Halifax(YHZ) to Victoria(YYJ) departing Feb 11, 2017, returning Feb 19, 2017. Regina(YQR) to Victoria(YYJ) departing Feb 11, 2017, returning Feb 19, 2017. Fort Mcmurray(YMM) to Victoria(YYJ) departing Feb 11, 2017, returning Feb 19, 2017. Prince George(YXS) to Victoria(YYJ) departing Feb 11, 2017, returning Feb 19, 2017. If you are planning to stay close to the airport in Victoria, the following is a list of the best hotels close to the Victoria Airport.